Summer is a special time to take part in a Panigiri, a celebration that is much loved throughout Greece and especially in Crete. 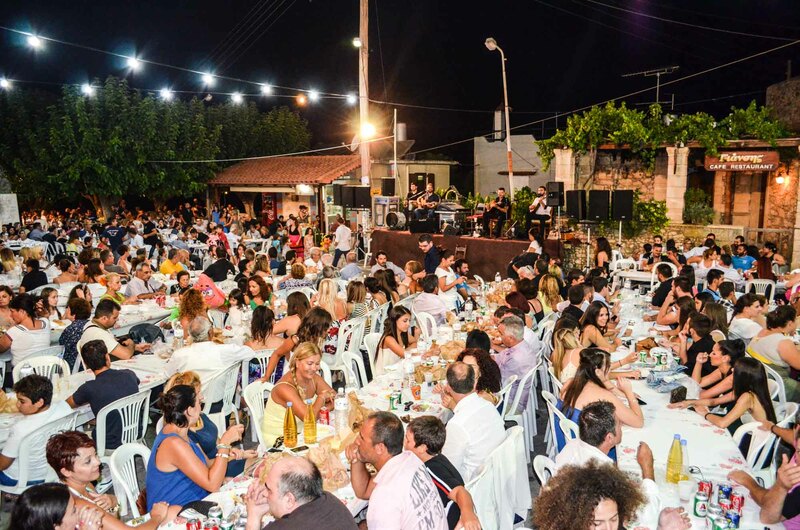 A Panigiri is a festive village event that brings together people in the name of Greek tradition. The panigiri celebration of the Virgin Mary, also known as Panagia, takes place on August 15 or dekapentavgoustos. It is not only a national holiday but remains the biggest religious event in Greece after Easter and Christmas. Do keep in mind that August 15th isn’t the only day to experience a panigiri in Crete. Throughout the month of August – and throughout the year – you can find a panigiri taking place in many villages. Summer, however, is a special time for a panigiri to take place. The beautiful night time weather and overall laid-back summer vibe makes the tradition even more spirited and welcoming. The churches that hold them are quite proud of the tradition. During the community party, everyone ends up singing, dancing, drinking local wine, eating great dishes and just having fun. All ages participate as well as tourists and locals. But panigiri is more than a party. The panigiri is dedicated to a Greek Orthodox saint on that saint’s name day. These predetermined days of the year are devoted to one saint such as Paul, Peter, John or Mary. Greek people with the same name as a particular saint celebrate their name day too. In Greece, name days are celebrated in the same way as a birthday. 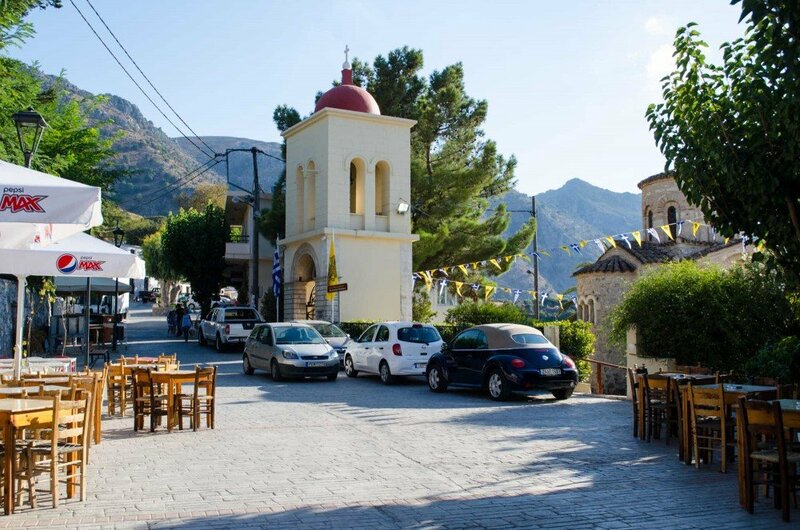 During a panigiri in Crete, there are the traditional prayers and religious customs that take place in the church. What guests love is the aftermath. In Crete, a panigiri is special. Here, the music is fast, drinks are strong and food is exceptionally delicious. Anyone can be a part of a cheerful atmosphere where village musicians play guitars, bouzoukia or wind instruments like the clarinet. Someone will sing Cretan folk songs and everyone joins in. 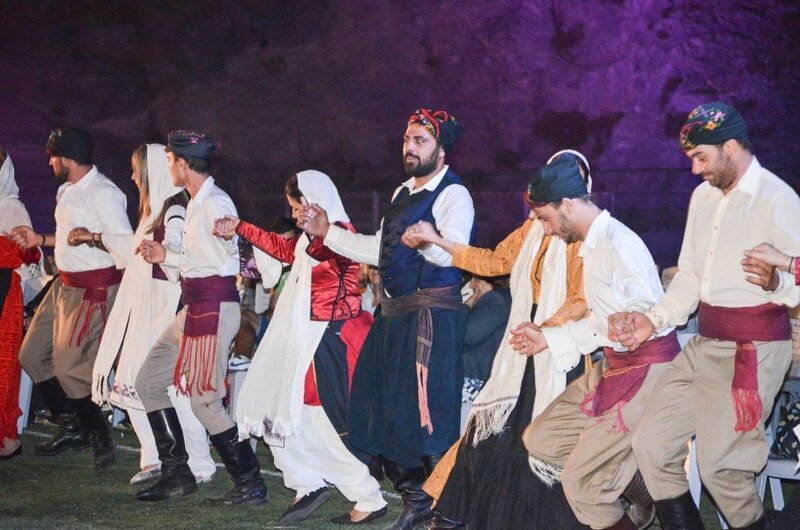 In Crete, dancing accompanies the music and it is an art form. 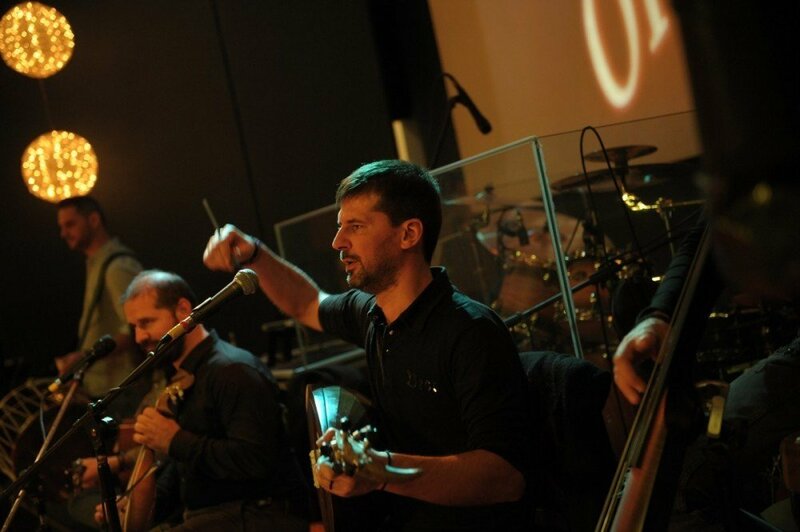 Expect to hear Cretan folklore music known as mandinades. 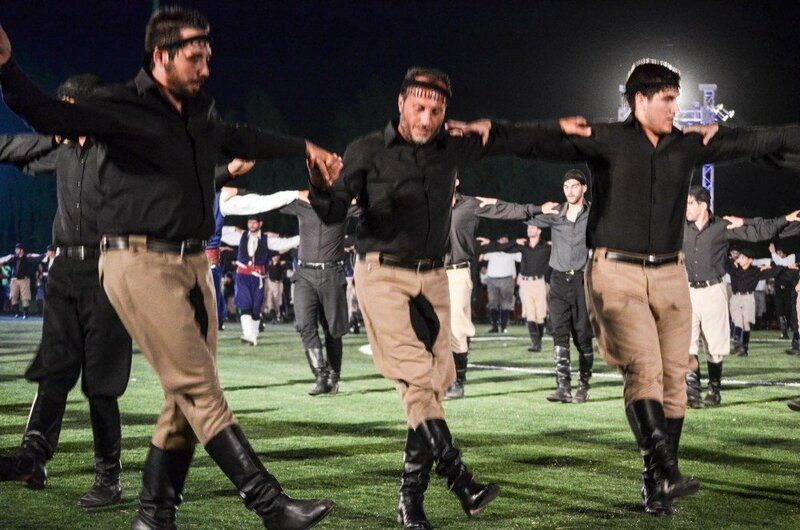 A ring or line of dancers will form early in the night. 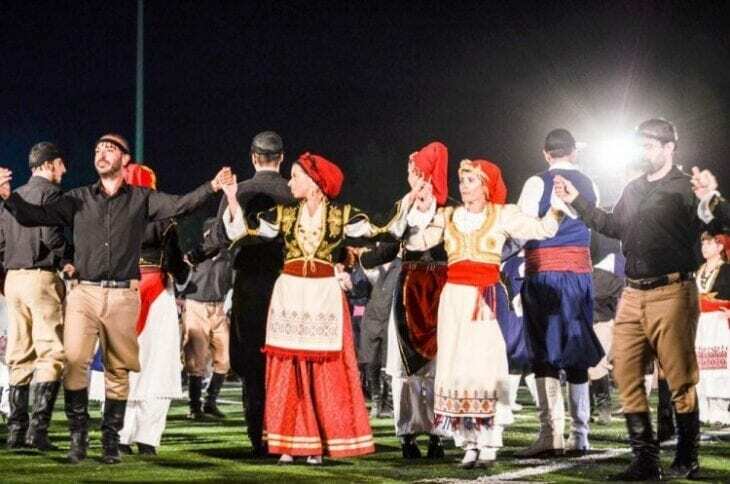 Join in and link arms to the beat of the music or simply watch Cretans dance steps that generations before them have skillfully and proudly danced too. In the distance, you’ll likely hear celebratory gunshots ring through the night air. There would be no need to worry. This just gets the celebrations going even more! It is just another wonderful part to experiencing panigiri in Crete. For a schedule of when various panigiri celebrations are taking place in Crete, head to the Panigiri Crete Facebook page. Have you ever been to a panigiri in Crete?